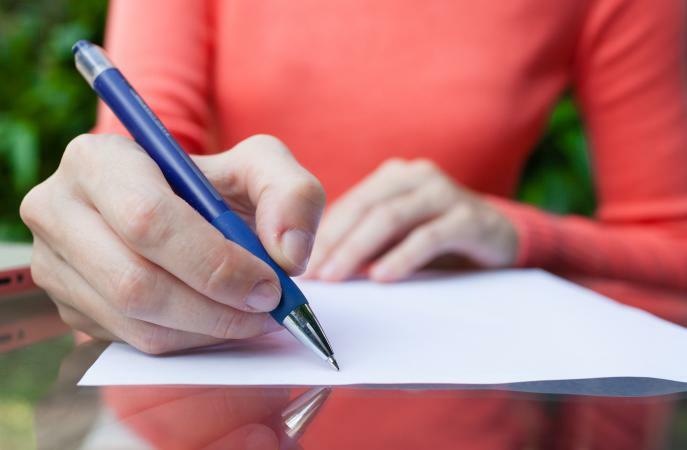 Writing an obituary may be difficult when you are grieving. 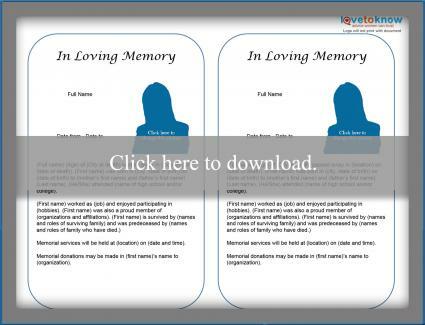 While you can find instructions on how to write an obituary, these simple sample obituary templates are free and make the job even easier. 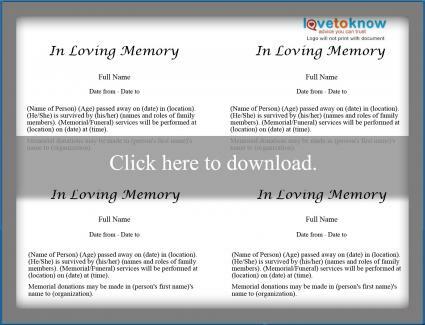 These free obituary templates are designed to allow you to fill in the blanks to create simple obituaries. 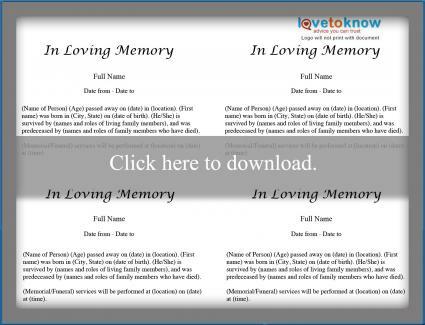 You may want to use sample wording to help create a more complex obituary. 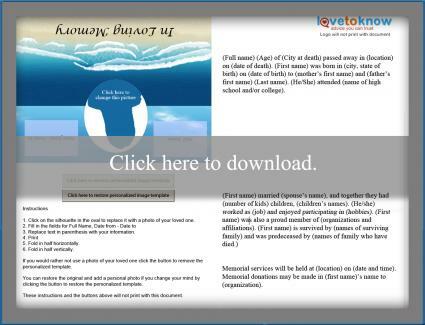 You will also need to gather information about the deceased. If you have any trouble downloading the PDFs, read our how to guide. Click on the thumbnail image for the template you wish to use. When the template opens on your computer, select File-Save As. Give the obituary a name, and save it in a convenient location on your computer. Click your cursor in the first space, and type the person's name. Click your cursor on each space that requires completing and add pertinent information. Be sure to delete parentheses and add appropriate punctuation if necessary. When you are done, click File-Save to save the document. Proofread your saved document to ensure the accuracy of spelling and punctuation. Make any necessary corrections, and click File-Save again if you made additional changes. There are four templates. Two are quite simple, including the most basic information about the deceased. Two also allow you the freedom to list accomplishments, and interests or hobbies. This template doesn't specify marriage or children. Rather, it allows you to list family members that survive the deceased and those who predeceased him or her. You will need the same information as listed in the Married Biography Template. Complete the obituary as described above. Open your word processing or text editing program and create a new document. Click on the completed PDF template. Make the changes in the document as required. Obituaries serve as a written memorial or notice of death. These templates can help make your task easier during this very busy time.